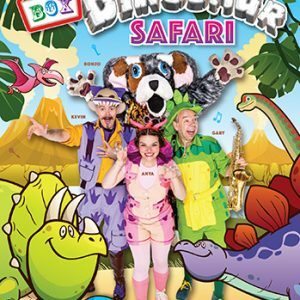 Get ready for some Stone Age singalong silliness as Anya, Kevin and Gary (formerly of The Singing Kettle) go on their most roarsome adventure yet – DINOSAUR SAFARI. 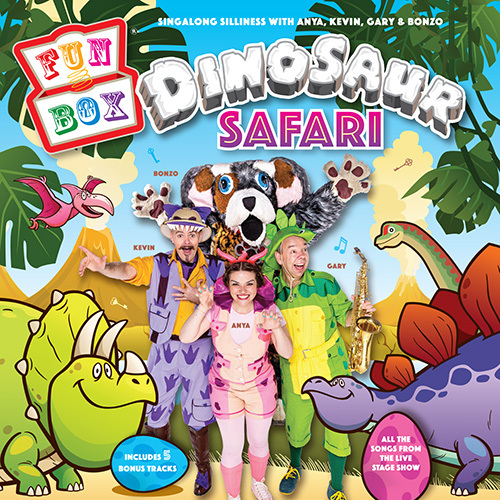 The FUNBOX gang are in a prehistoric pickle as they go on a quest to find their keys and discover different Dino-pals. 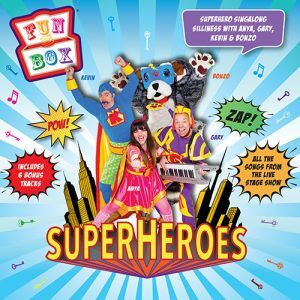 Along the way they meet friends old and new including Kevin’s crazy Granny, those fuzzy funsters; Fluffy and Flossie, and their cheeky chum: Bonzo, who is finding his inner cave dog and hunting the ultimate bone. 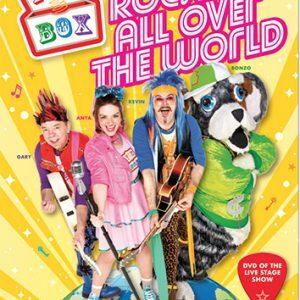 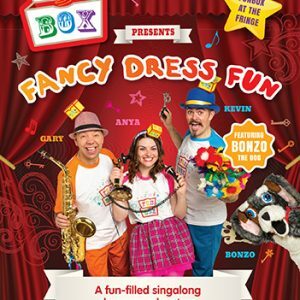 DINOSAUR SAFARI is packed with ginormous singalong fun for all the family and features all the songs from FUNBOX’s amazing live show – plus five fantastic bonus tracks.